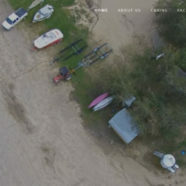 An excellent family fishing resort located in North Central Saskatchewan. Located on the South End of Waterhen Lake-Meadow Lake Provincial Park. Under new management in 2015. The larger body of water is about 8 miles x 5 miles and through the narrows is Little Waterhen about 3 miles x 4 miles. The lake is 100 feet deep and therefore the Jackfish (Northern Pike) and Pickerel are quite firm and tasty. The lake is very safe with few rocks to damage outboards and the land slopes very gradually from the shores into the lake. The Waterhen River chain starts at Cold Lake and flows all the way through Meadow Lake Provincial Park and into Waterhen Lake at the south east end. The river flows out the north east corner of Little Waterhen Lake up to the Beaver, the Churchill and empties into Hudson Bay. The section of the Waterhen River between the park gates near Goodsoil and Waterhen Lake is excellent for canoeing.